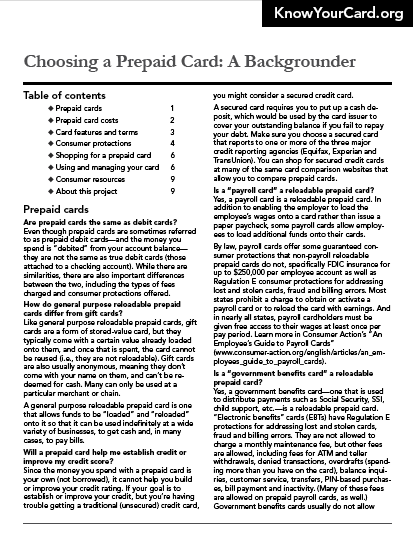 The Choosing a Prepaid Card module, which includes a four-page fact sheet, a backgrounder written in question-and-answer format, a slide presentation for group trainings and a companion lesson plan with class activities, helps consumers determine if a prepaid card will meet their needs and, if so, how to compare options and choose the best one. 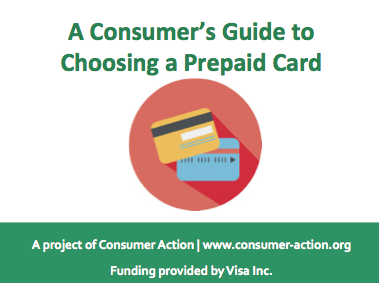 The module offers detailed information about the types of fees that are common on prepaid cards, how to estimate the monthly cost of a card and how to manage the card to reduce or avoid fees. 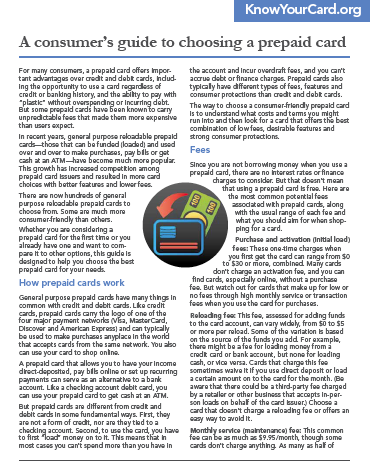 If you are looking for our 2012 module, "Prepaid Cards: An alternative to credit and debit cards,” click here. 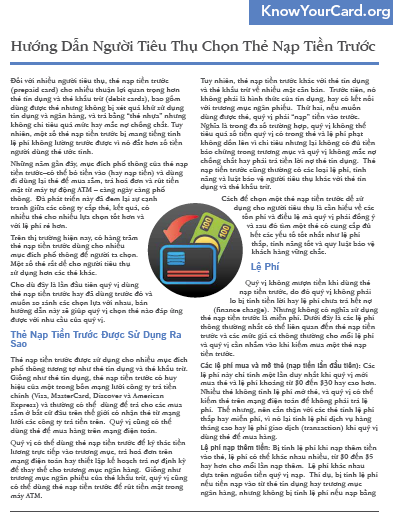 The Choosing a Prepaid Card PowerPoint training file is available for download in the “Download File” section. 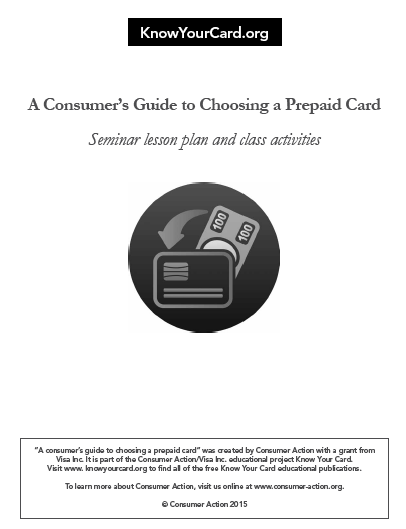 This 24-page packet, only available as a PDF download, contains a detailed curriculum for teaching how to choose, use and manage a prepaid card wisely, and two classroom activities that provide an opportunity for participants to apply what they’ve learned. 낮은 수수료, 유용한 기능 그리고 강한 소비자 보호 등을 제공하는 선불카드는 많은 소비자들을 위해 좋은 선택일 것입니다. 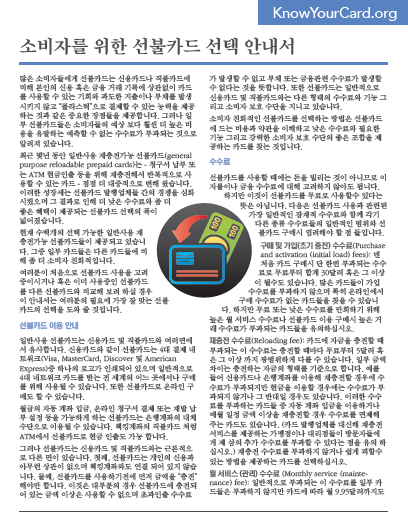 이 출판물은 소비자들의 옵션 비교와 가장 적합한 선불카드의 선택에 도움을 줄 것입니다. 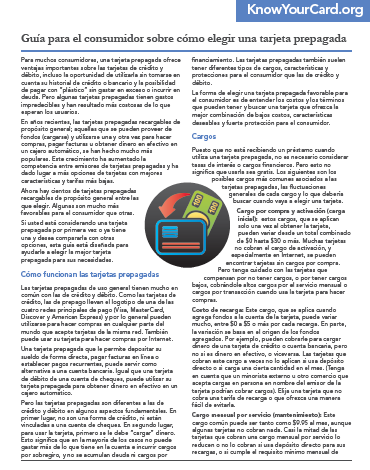 Una tarjeta prepagada con tarifas bajas, características atractivas y que ofrezca fuertes protecciones para el consumidor puede ser una buena opción para muchos consumidores. 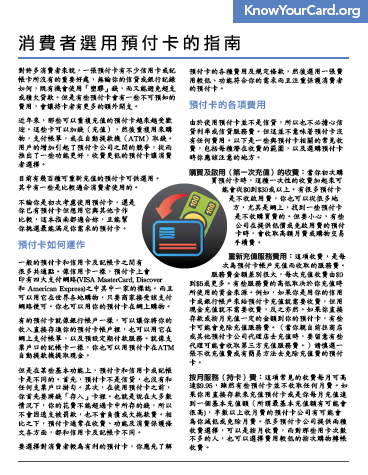 Esta publicación le informará sobre cómo comparar sus opciones y elegir la tarjeta prepagada que mejor se ajuste a sus necesidades.